Superb reproduction of a silo located in Pont-sur-Yonne, France. 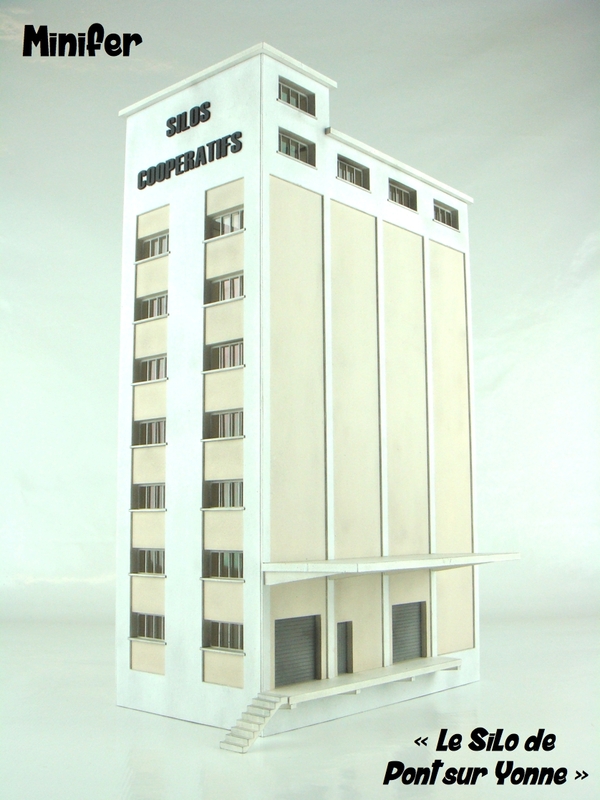 Its tall figure and little surface are ideal for a small layout ! Dimensions (platform included) : L= 6,49", w= 5,70", h= 11,41"
Footprint : L= 6,49", w= 3,74"
Any questions about this model ? Contact us at entrepriseminifer@gmail.com, we will respond you as soon as possible.